I was 7 years old when I first learned why people hate Bakersfield. Sitting under the blistering San Joaquin Valley sun, I stared out at a yellow soccer field as West L.A.’s Orange Crush battled Reno’s Green Machines in a fierce match that I’m sure no one else remembers. This was not the first time I had been dragged around for the sake of an all-star soccer team of 8- and 9-year-olds. And it would not be the last. To give my big brother a chance to chase dreams of fame and glory, my family spent much of my youth driving through the mountains and canyons of California. We were not the only family that built its schedule around travel sports. 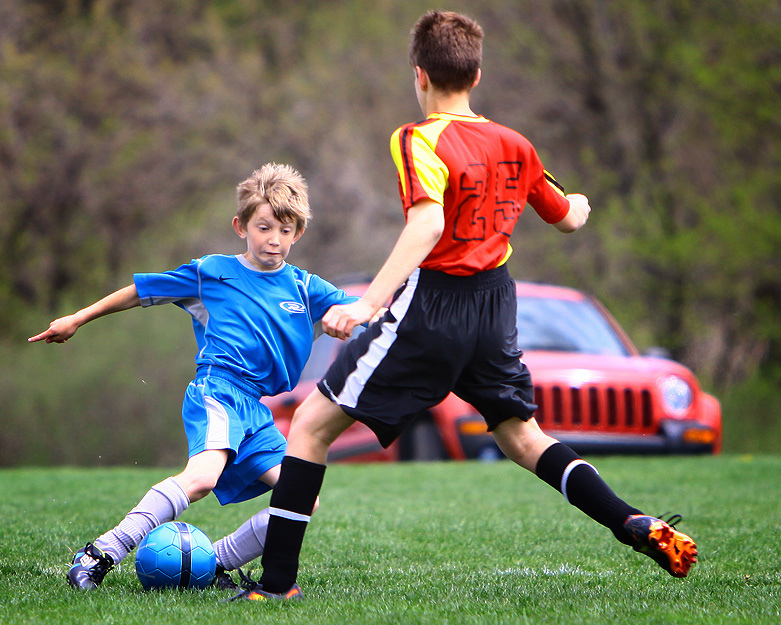 School sports no longer create elite 10-year-old athletes, and the thinking is that you must be elite at 10 to be elite at 17, when you want to get the attention of the universities from which you’re seeking admission and scholarships. In my family, I was never going to be that athlete. As a kid who received no less than three soccer-ball-induced black eyes, I simply lacked the foot and eye coordination to rise to AYSO stardom. My ticket to college would have to be something else, like studying hard. Or blackmail. Due to my status as a non-prodigy, I had no leverage in determining family schedules or travel. I had no say in whether we would forego a traditional Thanksgiving and spend the weekend in Las Vegas for my brother’s soccer tournament. I couldn’t complain (though my mother could) when she funded flights to Hawaii for the entire family, only to watch my brother’s team from West L.A. play a team from Santa Monica (and lose after getting three red cards). My epiphany came during a tournament in Phoenix. A boy on our team had scored a goal against the Golden Valley Goblins. I watched as the parents leaped to emphatically congratulate the kid’s mom, giving her accolades and pats on the back. Did they think she had made the shot herself? It was then that I realized the real battle lies not between the kids on the field but on the sidelines, where the parents compete through their children, and their own level of devotion to the team. Amidst all the dissipation, the little sister inevitably gets forgotten. If I complained, I was told I had to support my dear brother—the same brother who styled my hair into a bowl cut so that I was mistaken for a boy for the majority of my childhood; the same brother who used to duct-tape me into sleeping bags and launch me down the stairs when my parents weren’t home; the same brother who, upon discovering that he had leg hair, trimmed the black curls and placed them on my pillow as I was sleeping (you can’t make this stuff up, folks). I was often crammed in the back of an SUV, surrounded by the stench of sweaty shin guards and the sounds of Blink 182. I’d watch as the boys poked at their unofficial mascot, the “Pillsbury Dough Boy,” which was really a giant lump of cookie dough they brought to every game. When I wasn’t seething, I sat in silent admiration, giggling at their fart jokes and secretly hoping to impress these jocks. Of course, a boy’s popularity is dictated by his athleticism, by the respectability of his travel team, by his distinctive marks of masculinity. I swooned over Billy Brody all throughout elementary school because he excelled in P.E. (I didn’t follow his performance in Language Arts quite as closely). Ask anyone in USC’s top fraternities, and they can confirm that building a boy’s athleticism and ego at an early age will influence his life for years to come. Travel sports do not offer accompanying sisters a similar investment in their future. Every weekend spent on the road was a weekend wasted: neglected Beanie Babies and abandoned watercolors. Those extra Saturday drawing classes could have been just what I needed to launch a lucrative career as an artist. I could have been the next Picasso. We will never know. Yes, at times I rooted for my brother’s team, but I was more likely to be found playing with snails in the grass. If the mollusk population was low in whichever city my brother was playing in that weekend, I was left wondering why I was forced to be an accessory within this grand spectacle. “Because you’re his sister,” my parents said. Eventually, my brother traded in his soccer ball for a lacrosse stick. As an autonomous 12-year-old, I was no longer forced to tag along but often joined the army of parents on the sidelines anyway. In some sick way, I began to actually enjoy the games. I enjoyed the team spirit. I enjoyed screaming when my brother scored. In return, my brother would occasionally show up to my school basketball games in support, chanting my name. I swelled with pride, even if he chose to cheer only when I was sitting on the bench. He never got the scholarship. Some time in high school, my brother decided not to move on to the NCAA in college and quit as club teams became too cutthroat. I don’t think he or my mom have any regrets (except that trip to Hawaii), and they made some friendships that lasted in the process. As for me, I remember the homemade brownies the other moms distributed after the games with fondness, but that’s about it. Marie Helmy is a fourth-year student at Pomona College in Claremont, California, and a former Zócalo Public Square intern. *Photo courtesy of Tom Childers. family, soccer, sports, Thinking L.A.